Portland, ME – Laurie Jean Renna, 59, a lifelong resident of Portland, passed away on Monday, April 3, 2017 surrounded by her family at Gosnell Memorial Hospice House in Scarborough after a long illness. She was born in Portland, ME on October 10, 1957 a daughter of the late Joseph P. Renna and Evelyn (Hopkins) Renna of Westbrook. She attended local area schools, graduating from Portland High School. 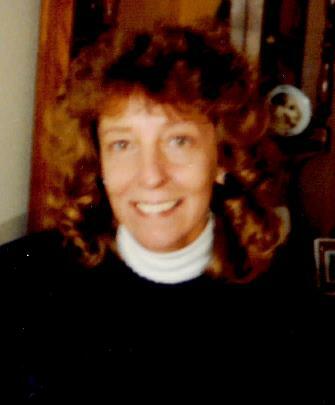 Laurie loved to work; working for the Portland Hannaford and Foreside Harbor in Falmouth before retiring due to illness. Her best friend was her Mother, the family knew if they didn’t hear from them, that they were out shopping somewhere. Laurie devoted her life to her son Johnny, the love of her life. She enjoyed her family; all her nieces and nephews loved her and would be eager to hear her tell them stories. She had a special gift for storytelling and could always make you laugh. Besides her mother, she is survived by her son Johnny Foster Jr. of Portland and her three sisters Tammy Coxe of Westbrook, Deborah Budroe and her husband Robert Grover of Windham and Rosalind Foster and her husband Gary of Westbrook as well as several nieces and nephews. The family would also like to extend their deepest thanks to her case worker Dan. Relatives and friends are invited to attend a graveside service on Monday, April 10, 2017 at 11 a.m. at Calvary Cemetery, South Portland.